If the success of an architectural typology can be defined merely by its reproducibility the concrete structural frame must be regarded as the most successful example of architecture as an industrial process. 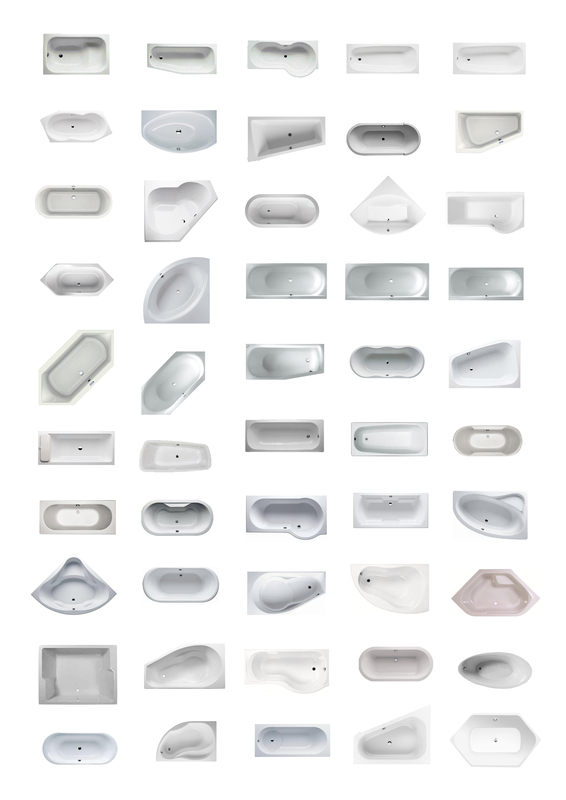 It is a global phenomena that appears in endless variation based on a few generalised design principles and has become “the most recognisable –the most fundamental –project of twentieth-century”. Adrian Forty has pointed out that the introduction of concrete as a building material, not only, changed the economics of construction, but that it also has affected the entire composition of the building industry by shifting the balance from skilled craft labour to unskilled labour. As an alternative to traditional construction that was dependent on expensive skilled craft labour, concrete offered the possibility of cheaper construction by sidestepping the traditional trades, and breaking their monopoly over construction. “There are good grounds for saying that the phenomenal success of concrete in advanced economies where wages are high has had as much to do with this aspect of concrete as with any constructional advantages”. It is against this background of ‘economy of labour’ that the phenomenal success of the concrete frame typology can begin to be understood–as yet another consequence of the capitalist demand for more cost-efficient construction. The execution of reinforced concrete as a structural frame enabled the pursuit of a ‘structural economy’ that promised even greater radical reductions in material, time and labour. The conceptual basis for the model was provided by Le Corbusier, when he in 1915 tried to patent, but failed, his Domino design for a simple post and slap reinforced concrete structure. The scheme represented a new method of construction that promised a rapid an economical way of producing mass housing as a solution to the post-war rebuilding problem after WW1. The Domino scheme was a continuation and radicalisation of existing standardized reinforced concrete systems such as the Hennebique system. Even though Le Corbusier’s project was never realised in its pure form, and is widely acknowledged to not be fully resolved technically, the project became extremely influential as a concept of an economical model for housing that anticipated the industrialisation of construction. Georg Simmel’s century old text on The Metropolis and Mental Life (1903) offers interesting reflexions on what impact the monetary reward system have on people’s minds. How the system is closely connected to the urban environment ever since antiquity. His line of argument is intriguing inasmuch as it ranges back and forth from apparent criticism to appreciation of the effects of the metropolis on the human mind. From stating that individuality is subdued in the urban environment since economic scales and quantitative measures are ruling all relations he goes on to state that the individual freedom is considerably greater in the metropolis as compared to small societies. In the latter the groupings of people are small enough for the included members to work as monitors of each other, while in the former this surveillance is rendered impossible. Simmel ties the 19th century concept of division of labour closely to that of the city. Only there the proper conditions can be provided, there the people are forced to develop their own specialties not to be effortlessly substituted by somebody else. Simmel sees a core shift of essence in the city life as compared to the previous rural one in the new fight for survival. No longer a struggle against nature for the means of living, but a struggle with other humans. Since it is other people who must provide the means of survival in the metropolis, whatever is produced have to make sure to find new and unique needs in the presumptive buyers. Individualization and differentiation as responses to the individual interchangeability. Ultimately for Simmel this individualization of human beings is something artificial, something applied in order to compensate for the loss of the whole personalities that were smashed by the division of labour. The metropolis makes room for both of the concepts of individuality of the previous periods; that of the 18th century Enlightenment, freeing man from bonds, be they religious, political or guilds, and that of the 19th century romantic movement, looking to the particular, the irreplaceable. Both are housed in the city of modernity. As relationships in Simmel’s metropolis are quantitative no values other than economic ones survive. The nihilism strikes. So does the apparent conflict with late 19th century seriousness and preoccupation with proper formal expressions. Simmel’s object of study is the individual, however entirely on a group level. For greater explanatory power on individuals much theoretical input would be needed. Furthermore, different individuals react differently in new situations, based on their upbringings and dispositions, and different individuals are drawn to different environments for the fulfilments of their needs. In critically rethinking the traditional framing of economy, Katherine Gibson follows J.K. Gibson-Graham’s approach of analysis that resists static and dominant theories of economy and instead argues for a “diverse economy”. In opposition to economy as an abstract and autonomous object, diverse economy represents economy as complex, dynamic processes of social and ecological relations and actors. Gibson propagates the use of thick description and weak theory in order to make the hidden dynamics of economical relations visible. Hence, thick description and weak theory can be seen as ‘tactics’ to construct a particular model of understanding and communication. The quality of these tactics is their perforative power; as Gibson states: “how we represent the world contributes to enacting that world”. The tactic of thick description, introduced by Gilbert Ryle in the seventies, is a way of describing events or things in an inclusive way, capturing details, context, emotions, relationships, characters et cetera. More than an objective recording, a thick description interprets the circumstances, meanings, intentions, strategies, motivations…that are at play. In my own design work I am using a similar tactic as a way of investigation that I call extensive description. An extensive description is a very elaborated description that can be executed in words, images, sounds and other media. An extensive description reveals the descriptive extent of a thing by the creation of referential collections. Through extensively describing a subject in an unrestricted, associative flow, referential collections illustrate the referential extent or space that the subject covers or affects, and reversely, the referential elements that affect the understanding of the subject. In that sense, the descriptive extent provides insight in meaning making processes. The descriptive extent has a highly associative character and contains no filter: emotional, cognitive, experiential…references can collide in a referential collection. An important value of the descriptive extent is the fact that it includes properties that are usually dismissed as irrelevant in general definitions. The performative power of thick description and weak theory lies in their representational character. How the world is described determines how we perceive and experience reality. Representations of reality are always translations of this reality, in most cases even exact copies. But in representation, various translations are possible and parallel models of reality can be generated based on alternative frames of references. This gives the opportunity to present several modes of experiencing the world and to use the frame of reference that is most appropriate for understanding a situation. Gibson uses the performative effect of ethnography for the making of a story, “a framing which allows for a different imaginary in which economic possibility proliferates”. The representations provide new dimensions for perceiving and understanding our surroundings. In my own work I use representation techniques as a conception device to create and recognise parallel versions of reality. In that case, the representation is not just a copy of dominant thought patterns or an affirmation of the status quo, but achieves a performative power and contributes to processes of world-making and differentiation in ways of belonging. “It is not easy to define a supportable ethical or political position that takes into consideration the way in which precariousness and possibility can be thoroughly entangled and the way in which things do work but are hardly just”. This quote from Abdoulmaliq Simone’s work on urban economies in Kinshasa has stayed with me throughout the past few day and throughout the other readings and class work. There seems to be something said and not said. Though Simone is a wonderful writer and brings each of the subject group he profiles to life in clear and intricate ways. A complex political economy that produces enormously high real estate prices in Kinshasa but de-valorizes the ingenuity and (dare I say) innovation of the Bloods in the marketplace. What does Simone’s analysis say about research in precarious areas, like slums and other informal landscapes? Could the Bloods and also the urban cultivators Simone profiles and interviews be considered as participants in a tactical urbanism? This last question is not something Simone proposes, nor do I think his article makes the claim that the residents of Kinshasa are seeking to subvert neoliberal economic processes and power through their actions. Tactical urbanism could counteract neoliberal urbanism. Especially in light of the stridently anti-planning rhetoric that pervades many tactical urban interventions and their tendency to privilege informal, incremental, and ad hoc mobilizations over larger-scale, longer-term, publicly financed reform programs, it seems reasonable to ask in what ways they do, in actuality, engender any serious friction against the neoliberal order, much less subvert it. In some cases, tactical urbanisms appear more likely to bolster neoliberal urbanisms by temporarily alleviating (or perhaps merely displacing) some of their disruptive social and spatial effects, but without interrupting the basic rule-regimes associated with market-oriented, growth-first urban development, and without challenging the foundational mistrust of governmental institutions that underpins the neoliberal project. It is true that Brenner is assuming a position wherein today’s urban human condition is largely unjust, asymmetric and “environmental insane”. Which is a condition that Simone also hints at through his writing of people in Kinshasa dealing with the “grinding boredom” of working and hustling through precarious daily uncertainty. The envied position of the intellectual observer, of the flâneur, is made possible through a certain amount of economic certainty. Stability and free-time, as was pointed out in today’s lecture, allows for a contemplated wandering in the city. And it also might create the conditions for a de-coding of our economic market system. The market may not have a consciousness, but conscious people drive it, manipulate it and profit from it. Does intellectual analysis give us tools to de-code these human constructed systems? On that note, I turn sometimes to art and performance. Not for answers but for a different analysis. Alexandre Paulikevitch is Lebanese dancer who inhabits an interesting space. He is male, is a professional raq’s baladi dancer, creates original choreography using a traditional form and continue to work and practice in Beirut. His piece Tajwal, is about his wanders in the city. In his essay The Metropolis and Mental Life, Georg Simmel discusses the impact of the metropolis and its modern dynamics on the social life of the citizens. According to Simmel, a consequence of the metropolis and its modern lifestyle is the reduction of the individual to a single, negligible entity in a complex system. The metropolis homogenises unique ideas and traditions of diverse groups into a single urban way of life. Simmel points out the contrast between the slower, more habitual and familiar rhythm of a small town in relation to the overload of stimuli generated by the metropolis. In order to protect ourselves from the intense stimuli of the city behavioural mechanisms as for instance indifference, reservation, and rationality eliminate personal and emotional reactions. As a consequence, we no longer feel ourselves acting on the world around us. Simmel indicates a conflict and increasing gap between subjective —individual— culture and objective culture, the modern social relations. In his observation, impersonal cultural elements and existing goods and values of the metropolis suppress personal interests and particularities. The consequences of metropolitan life outlined by Simmel show direct comparisons with the repercussions of globalisation: the loss of authenticity and personality and the disconnection between the individual and society. Jean-Luc Nancy describes globalisation as an undifferentiated sphere of uni-totality in which everything becomes a commodity. Globalisation leads to dominant cultural world views that weaken cultural subgroups and independencies and thereby an entire order of representations of belonging (Nancy, 2007 in: Janssens). As a counterbalance to globalisation Australian psychologist Jennifer Gidley (2007) proposes ‘planetisation’, an anthropological and ecological stance on ‘world-forming’ that emphasises the more inner oriented development of psychology and culture with respect for the individual and cultural diversity (Gidley 2007 in: Janssens). The different focus and value system of globalisation and planetisation is comparable to the differences outlined by Simmel between subjective culture and objective culture. The loss of qualitative differences by the transformation of subjective culture into objective culture can be framed as a process of ‘experiential erosion’. Erosion, a term found in Geography, refers to ‘the gradual destruction of something by natural forces’. In my own work I use the physical process of erosion as a metaphor for the phenomenon of an environment that through frequent contact loses experiential qualities. Erosion is a destruction that acts upon the most outward layer of the thing and progresses, rubbing off layer by layer, ever more inwards until finally all matter is worn off. The destruction, which is in fact a repetitious contact between two matters by which the one matter hollows the other, is not a single conversion but is conditioned by frequency (of touch, contact, use) and hence is always a gradual process. The frequent rubbing results in a diminution of the textural inequalities of the superficial layer of the thing. Because of this textural smoothing the thing loses its distinctive features in relation to other things and is in fact homogenised. The frequency of physical contact leads to egalisation and continuity and hence diminishes the intensity and differentiation of experience. Based on Simmel’s observations of modern city life, the metropolis can be considered an environment that entails experiential erosion. In order to counteract experiential erosion and ‘re-sensify’ existence, the individual seeks for qualitative differences in experience. This can be related to the forms of differentiation (eccentricities, extravagances and self-distantiation) the metropolitan citizen turns to in order to be ‘different’ and become noticeable. Architectural professor Randall Teal talks about a similar need for an ‘extraordinary encounter’ in architecture. An extraordinary encounter is explained by Teal as “an immersive and embodied encounter that generates an affective experience within a world”, resulting in a unique resonance between the individual and a situation or place. What makes it ‘‘ordinary’’ are the familiar and measurable elements of our world, and what is ‘‘extra’’ is the immaterial wholeness that emerges from the embodied experience (Teal, 2013). In The Metropolis and Mental life Simmel gives an insight in how citizens of the metropolis have become detached from their environments and intense personal experiences are weakening. What interests me the most however is which tactics can disturb processes of experiential loss, indifference, reservation, and pure rationality; the processes that are at play in the metropolis. What kind of designs might enhance the extraordinary encounters Randall Teal speaks of, and, can these encounters counteract the phenomenon of experiential erosion? Janssens N., 2012, Utopia-Driven Projective Research: a design approach to explore the theory and practice of Meta-Urbanism, Doctoral dissertation, Chalmers University of Technology, Gothenburg. Simmel G., 2002 (1903), The Metropolis and Mental Life in Gary Bridge and Sophie Watson (eds.) The Blackwell City Reader. MA: Wiley-Blackwell. In “The Metropolis and Mental Life” Georg Simmel states that he is set on understanding the conditions for the individual in the metropolis, rather than “to complain or to condone” over its multiple varieties and expressions. He is an observer. This position centers on an understanding rather than a critical reading (as in revealing specific conditions that are not seen at first) or a projective discussion on how life in metropolis could be different. To be the observer is to consider at a distance, similar to the detached gaze of the flâneur. But is it possible to separate the act of understanding from the complaining voice of criticality? Simmel is unspecific about the spaces and forms where the plethora of individuality is expressed and produced in the metropolis. An example of such a discussion could perhaps be found in Sigfried Kracauer’s writing on the hotel lobby, partly inspired by Simmel. For Kracauer, the hotel lobby of the modern city is a space where the traditional relations are detached for the “sake of a freedom that can refer only to itself and therefore sinks into relaxation and indifference.” The lobby does not refer to anything beyond itself, and the “aesthetic condition corresponding to it constitutes itself as its own limit.” In its internal logic, the lobby for Kracauer provides a safe haven away from the external expectations on the individual. Just like the metropolis in general has detached humans from the social control mechanisms of the historical village, the lobby allows for anonymity and indifference toward the strangers in the same room. In this sense the temporary congregation of the lobby is no different from a group of people waiting for the subway. What unites Simmel and Kracauer seems to be a preoccupation with the surface of capitalism rather than the structural depths of it. To look at the superficial, the conspicuous and the glamorous aspects of metropolis, is to consider how this physical environment and aesthetics generates particular conditions for living and particular forms of subjectivity. Georg Simmel, “The Metropolis and Mental Life,” in The Blackwell City Reader, ed. G. Bridge and S. Watson (Oxford and Malden, MA: Wiley, 2010), 19. Luc Boltanski and Eve Chiapello, The New Spirit of Capitalism (London: Verso, 2005), 112. Siegfried Kracauer, The Mass Ornament: Weimer Essays (Cambridge, MA: Harvard University Press, 1995). David Frisby, Fragments of Modernity: Theories of Modernity in the Work of Simmel, Kracauer and Benjamin (London: Routledge, 2013). AbdouMaliq Simone, ‘Deals with Imaginaries and Perspectives: Reworking Urban Economics in Kinshasa’, 2013. This concerns the anticipation of desires, or what can be called atmospheres of affect, how environments come to be produced in advance of your arrival as what Simone calls a “field of affective textures”…but there is also the opportunity to create other vantage points, and “prospective futures”, Simone appears to suggest. Consider the diversity of aesthetic economic persona the ‘traders’ take on in the marketplace of Gambela that Simone describes. These are subjectivities in process, produced partially in relation to acts of trading. Economic processes of subjectification. At the end of the day it is important to undertake ‘impression management’ that is, to exude the appearance of success to make sure more trades will follow tomorrow (242). Further, urban bodies must be understood as being entangled in all manner of material relations, entwined as they are with “scrap, fuel, rain, heat, waste, sweat, tin, fire, fumes, noise, voices, and odour” (243). Goods, often irrespective of, but as often connected with their significance, must be kept in movement, to maximise a person’s exposure to a greater playing field, keep the goods in motion, keep the game of trading going (its a matter of life and death). A central question of ‘livelihood’ (see 243-244). Finally, he states “we know that we live in a fiscal world based on the tremendous expansion of capital disarticulated from any fundamental underlying asset” (250). How can we make this place other than it is? How can we reach each other across seemingly incommensurable divides and differences? In his recent book, The Uprising: On Poetry and Finance (2012), Franco ‘Bifo’ Berardi argues that economic science does not exist, as it does not correspond to the definition of science as a dogma free discipline that extrapolates “general laws from the observation of empirical phenomena” (72). Instead, Bifo argues, economics imposes itself on society as a kind of technology, a set of tools, procedures and pragmatic protocols that aim to mould social reality according to a logics of profit, accumulation, power. Economic reality does not exist, but is rather produced, or forced onto a socius via processes of technical modelling, submission and exploitation. In his final chapter Bifo makes reference to Félix Guattari’s Chaosmosis, as a way of developing an environmental consciousness adequate to the “technological complexity of hypermodernity” (145). It is about reimagining a complex universe composed of intricate relations between embodied entities, an “organic and inorganic continuum, animal and machinic, mental and electronic” where embodied minds are apt to hook onto each other, and were ideas travel wildly with both wondrous, but also detrimental effects. While it seems Bifo wants to reject economy as a discipline – or rather as a dominate rationality- altogether, could it be that alternative, less destructive economic logics can be imagined? Alternative economies? Other ethical, even caring modes of exchange? The new post-socialist authorities perceived that the total break with the Soviet past was necessary especially in terms of dissolution of the Soviet system of spatial organization, ideological, institutional and social structures. This notion which may be summarized in one sentence as “throwing away the heavy weight of the past” (StanilovK. 2007) is in essence similar or could be viewed as a parallel process that occurred in the West during the 1980’s and preceded the revolutions in most Eastern European countries when neoliberal doctrines conducted by Thatcher and Reagan dominated the other “transition” – a shift from the Fordist system of production organized within the Keynesian welfare state system to a much more geographically open entrepreneurial system of governance and market based society (Harvey D. 1989). The lessons learned in the West during this process were soon implemented even more radically by IMF, the WTO and the World Bank (Stanilov 2007) in the process of institutional restructuring of societies in CEE countries through privatization, deregulation, decentralization, weakening of the state, strict monetary controls, austerity measures, etc. This time the most radical version of transformation was implemented as a form of “Shock Therapy” and directed by economists, such as Jeffrey Sacks who believed that only radical measures could achieve positive results in the long term. In this context the remains of the socialist system were metaphorically compared to a “ cancerous growth” (Stanilov 20007) that needed to be severed and uprooted in the shortest possible time. This overall institutional transformation has enabled local governments to engage directly with the international and local investors and business and this also transformed the role of the institutions in urban planning. This kind of new role of government as a facilitator of business interests rather then the defender of public interest reveals an essential conflict between two main components of the post socialist transition, the economic shift to market economy and the political process of democratization of society. According to Vaclav Belohradsky who refers to American sociologist Daniel Bell, there is an inherent conflict in late capitalism that he refers to as “the disjunction of realms”. For Bell, economy, politics and culture are the most important aspects of modern capitalism and if any of the three aspects become extremely dominant in society they negatively affect the other two. For example, the “imperative of maximum efficiency and profit” causes subjugation of society and shifts the balance of political power hugely in favor of those forces whose sole interest is profit making. Thus, “the imperative of equality” as a democratic ideal becomes threatened by growing economic powers and in such case the coexistence of market economy and democracy lie on the shaky grounds. Another notable disjunction in the transition is that of two kinds of transitions: The first is the imaginary transition represented as a populist post-modern and utopian concept reflected in the belief in the life in desire driven consumerism visible in the images on urban billboards and in the media and the other type of transition is the actual bureaucratic process of admission to the European Union. This bureaucratic kind is perhaps the only “real” transition consisted of the relentless machinery of standardisation, seen as the essential to the process of EU accession. According to Alexander Kiossev, “every single sphere of social reality” needs to be synchronized through the implementation of EU standards and by involvement of variety of experts, auditors, controllers, etc. Every single aspect of life is to be adjusted to the new standards and those countries that do not comply with such procedures face severe sanctions. By replacing the Soviet version of biopolitics aimed to produce the new utopian society through centralized system of planning within a given state apparatus, the EU driven biopolitics introduces the process of shaping desirable populations on global scale by imposing norms on their local environment, interacting directly with their cultural habits, influencing daily life and not merely interacting with the classical state as a single center of power (since there is no such thing). Thus, new more acceptable forms of culture, which assures compliance with EU’s own apparatuses of security aims to produce new citizens.